'My Ellington': A Pianist Gives Duke Her Personal Touch As a Japanese expatriate in Berlin, jazz pianist Aki Takase has an outsider's perspective on jazz and insider wisdom that comes from careful study. Her new album of Duke Ellington tunes reflects influences such as Thelonious Monk and Arnold Schoenberg, as well. 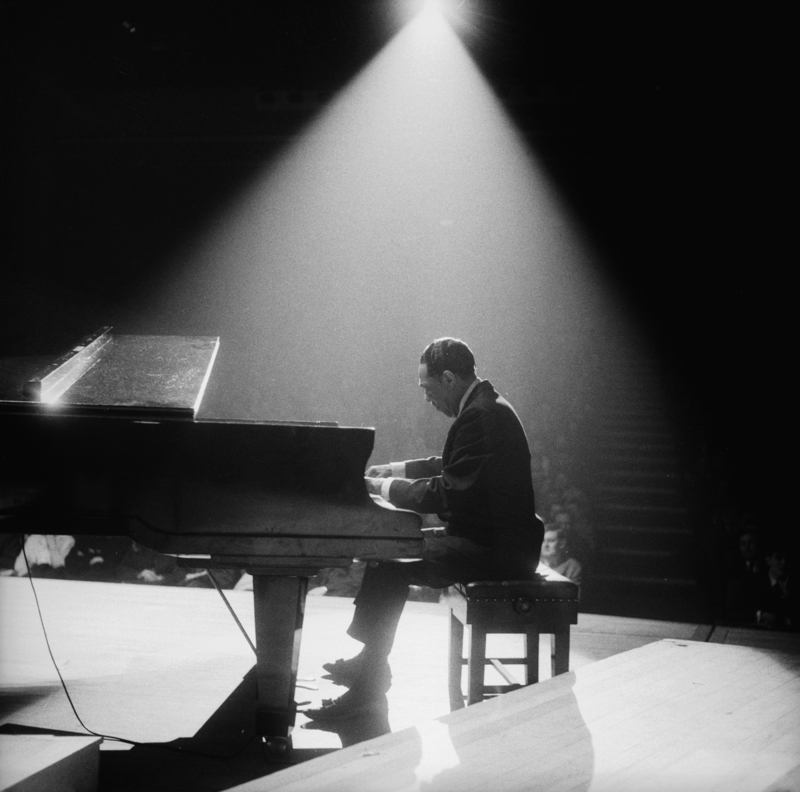 Duke Ellington (1899-1974) at the piano at the Fairfield Hall, Croydon, during a British tour on Feb. 10, 1963. 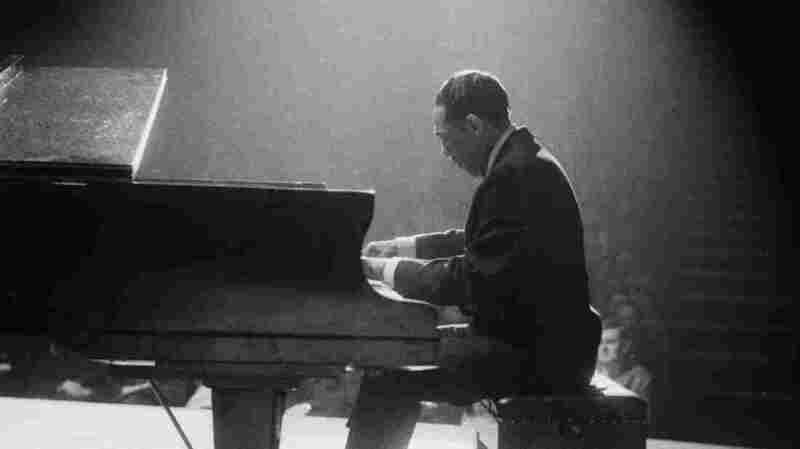 At the keys, Duke Ellington abstracted from stride piano, which modernized ragtime. Ellington's own spare percussive style then refracted through Thelonious Monk and Cecil Taylor, as well as a generation of freewheeling pianists active in Europe, like Aki Takase. Her new solo piano album is My Ellington, on which she plays some stride bass herself, as in "In a Mellow Tone." As a Japanese expatriate in Berlin, Aki Takase has an outsider's perspective on jazz and insider wisdom that comes from careful study. She's made albums devoted to music by stride pianist Fats Waller and blues composer W.C. Handy, as well as an earlier set of Ellington ballads. She can swim in that stream, but will also hop out of the water. Takase has a trust in silence still rare among improvisers bursting with a need to express themselves. Her sometimes stark treatment of "I Got It Bad and That Ain't Good" is Ellington tinted by Monk and Schoenberg: a 1941 tune informed by other mid-century perspectives. The total effect can be a little unnerving. There's an eerie call-and-response episode in the 1928 classic "The Mooche" where Takase uses loud and soft dynamics to suggest physical space — between her piano in the foreground and another far in the distance, as if heard in memory. She creates atmospheres at the piano, drawing an aura around a composition. At one point in "I Got It Bad," she floats from bird calls to a Monk tune — music Ellington listened to and music he inspired. Her evocations of physical distance and emotionally charged memory suggest another ragtime-influenced American pianist, composer Charles Ives. In "Battle Royal," Takase nods to "Columbia, the Gem of the Ocean," which hip musicians in Europe know because Ives quoted it so much. But then she's off and running, her strong left hand setting the pace. Late in life, introducing his suite Afro-Eurasian Eclipse, Duke Ellington liked to misquote social theorist Marshall McLuhan, using the terminology of the time: "The whole world is going oriental," Duke said, "and ... no one will be able to retain his or her identity, not even the Orientals." We wouldn't put it that way now, but we know what he means. Aki Takase shows us the sound of one cosmopolitan with roots in multiple cultures.